We are extremely concerned to learn about ongoing demolitions and forced evictions in the remaining neighborhoods of Sur District, Diyarbakir. According to information received from local civil society organisations, the neighbourhoods of Alipasa and Lalebey have been partially demolished and about half the original residents have been continuing to live in their houses in spite of the cuts of basic amenities and continual harassment. The Turkish government is enforcing at an accelerating pace the unlawful Expropriation Decree issued by Turkey’s Cabinet of Ministers on March 2016, against local and international demands to cease the expropriations and demolitions. According to information received from the Municipality of Diyarbakır and local civil society organisations 23,000 people have been displaced and more than 50,300 people, a total of 14,764 households, have been evicted or are inrisk of being evicted. At present, abandoned houses have been partially demolished and made inhabitable and those who refused to give up their houses continued to inhabit them until 2016, when forced evictions were put into effect and (un-negotiable) indemnities, far short of ensuring equivalent housing, deposited in bank accounts in the name of the homeowners regardless of their lack of consent. At the moment, about half the original residents have been continuing to live in their houses in spite of the cuts of basic amenities like water and electricity and even the disruption of sewers since the end of May 2016 (beginning of the month of Ramadan), as well as continual harassment. The neighbourhood network, strongly based on family relations, will be completely disrupted; the livelihood of these families, partly based on tilling the Hevsel Gardens skirting the city walls, will be completely cut off. The population of Diyarbakır’s historic fortress quarter (Suriçi) have been under curfews since August 2015. After the military operations, 70% of the buildings in curfew-affected Suriçi neighborhoods were totally or partially destroyed. In May 2016, the blockade was lifted in Cevatpaşa and part of Abdaldede neighbourhoods and the residents returned to their homes, however in the five other neighbourhoods the demolition which took place during the blockade has turned these quarters into stretches of barren land. Even though the Turkish government intends to explain the expropriation decree and the demolitions by defining the area as a risk for its inhabitants, the facts speak for themselves. The Turkish Constitution recognizes (Articles 56, 57) that Turkey’s citizens have the right to decent housing, and the state bears a responsibility to help meet those needs and rights. Turkey also bears related treaty obligations, having ratified the International Covenant on Economic, Social and Cultural Rights (ICESCR) in 2003, which recognizes “the right of everyone to an adequate standard of living for himself and his family, including adequate food, clothing and housing, and to the continuous improvement of living conditions." Thus, the Republic of Turkey is obliged to give effect to the rights recognized therein and implement the guidance in the corresponding General Comments (No. 4 on the right to adequate housing and No. 7 on forced evictions). Turkey is further obliged to align the domestic legal order in order to give effect to their treaty obligations, as provided in General Comment No. 9 on domestic application of the Covenant. Under the European Social Charter, which Turkey ratified in 2007, Article 31 guarantees the right to housing. Further, Article 1 of the European Convention on Human Rights Protocol 1 provides that “every natural or legal person is entitled to the peaceful enjoyment of his possessions. No one shall be deprived of his possessions except in the public interest and subject to the conditions provided for by law and by the general principles of international law.” Turkey ratified the Protocol in 1954. Forced eviction and house demolition as a punitive measure are also inconsistent with the norms of the ICESCR, and the 4th Geneva Convention of 1949 (Article 49) and its 1977 Protocols prohibit the displacement of the civilian population and the destruction of private property outside of strict military necessity. 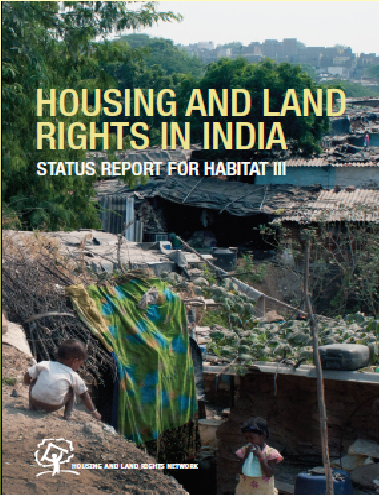 In light of these norms, CESCR repeatedly has expressed its concern over forced evictions that have taken place without adequate compensation or alternative accommodation. CESCR has encouraged Turkey to review its legal framework regulating urbanization projects to ensure those affected received adequate compensation and/or relocation. The Turkish Cabinet ministers’ March 2016 Expropriation Decree and the ensuing demolitions are inconsistent with these norms and constitutes a form of cruel, inhuman and degrading treatment to all inhabitants of Suriçi. This is not only a punishment to persons charged, or alleged to be responsible for armed clashes. Article 33 of the 4th Geneva Convention, Articles 26 and 67 of 3rd Geneva Convention explicitly ban collective punishment. The 1974 UN Declaration on the Protection of Women and Children in Emergency and Armed Conflict determines that “collective punishment, destruction of dwellings and forcible eviction, committed by belligerents in the course of military operations or in occupied territories shall be considered criminal.” Turkey has not taken legislative or administrative action to foreswear collective punishment or criminalize forced eviction. By the actions taken in Suriçi under the curfews and the ministers’ Expropriation Decree, the Republic of Turkey is also violating the affected population’s right to enjoy a bundle of human rights, as well as their right to live in their land in security, peace and dignity. Turkey must refrain from forced evictions and wanton destruction of property, including irreplaceable heritage structures, and ensure that the law is enforced against its agents or third parties who carry out such acts, whether in the name of security operations or urban transformation and renewal. Hence, Turkey should ensure that all feasible alternatives are explored in consultation with the affected persons and ensure an effective remedy, including reparations. Your Excellency, we look forward to hearing of your due diligence to adhere to the Republic of Turkey’s relevant human rights obligations by protecting its citizens from further violation of their right to adequate housing, among their other human rights.